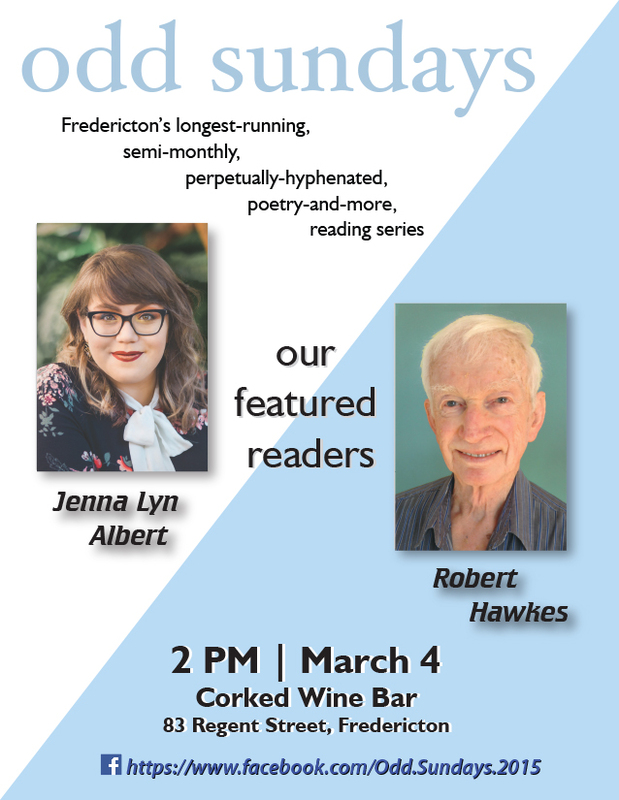 Jenna Lyn Albert is a recent graduate of the University of New Brunswick’s creative writing program and an editorial assistant at The Fiddlehead. Her poetry has appeared in The Malahat Review, The Puritan, Riddle Fence, The Antigonish Review, and CV2, with poems upcoming in the Feathertale Review. Her debut collection of poetry, Bec & Call, is forthcoming with Nightwood Editions this September. Robert Hawkes is professor emeritus from UNB. He retired in 1989. Bob has published 15 poetry collections, including a hand-produced small-press chapbook of poetry, A Still More Perfect Clay (poppy press, 2015, Fredericton), and his most recent work, Bishop John Medley: John Fredericton, (catkin press, 2017, Ottawa). Bob was born in Coal Creek, Queens County, NB in 1930, and is married to Peggy (MacLeod) Hawkes. They have three sons, two daughters, and 12 grandchildren.